For clients hosted on a Linux based server, webmail can be accessed from anywhere, on any computer. 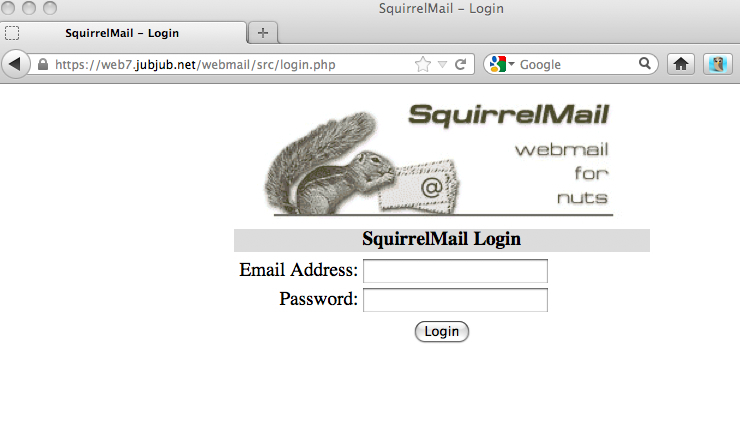 The interface is Squirrel Mail. To access Squirrel Mail, just open up your Web browser (such as Firefox, Chrome, Safari or Internet Explorer), and enter the following URL in the ADDRESS BAR. You will need your FULL USERNAME (ie: YourName@YourDomain.com), and YOUR PASSWORD. Go to http://www.YOURDOMAIN.com/webmail in your Web browser. Login using your full e-mail address and your e-mail account password.